Congratulation to Judith Jamison, who has done an incredible job and to everyone who is in involved with this wonderful dance company. Last Summer I attended a performance of “Snow White” produced by Arizona Magic of Music and Dance a program for children and young adults with physical or mental disabilities — that prepares them in one week to stage a wonderful theater production that is written and choreographed just for them. This was an inspirational event. This weekend in Scottsdale they have partnered with Barnes & Noble to help raise funds for this year’s production of the Jungle Book. SHOP: Barnes & Noble will give each person in attendance a charitable voucher. This voucher will be valid at any valley location for the following 30 days. week, they will stage The Jungle Book with the help of teen and adult volunteers. proceeds support these two fabulous productions. Call 602-653-8702 or 602-326-4619 for more information. 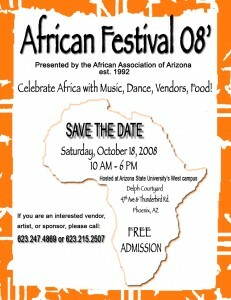 profits to the Arizona Magic of Music & Dance!